Welcome to a new trading day. Let's keep this short and sweet. 1. Waiting for Janet Yellen: Investors are on tenterhooks ahead of the annual gathering of Federal Reserve members and other central bankers at the Jackson Hole Economic Symposium in Wyoming, which gets underway today. 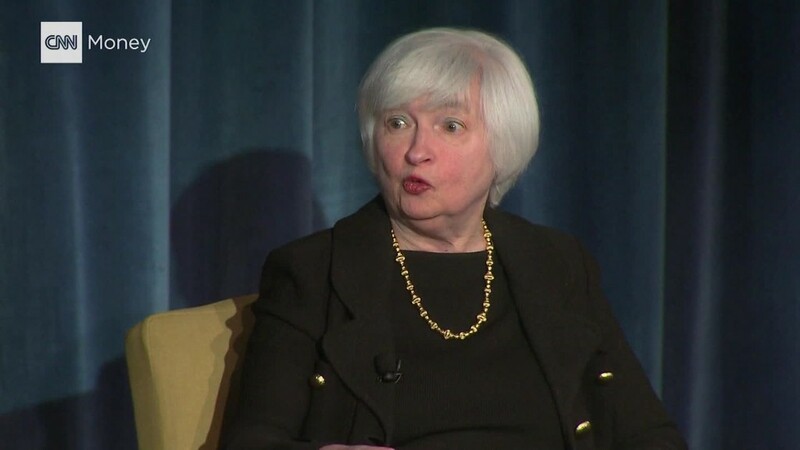 Fed chair Janet Yellen will be speaking at the event tomorrow. "If markets are waiting for Jackson Hole the good news is that, unlike Godot, Janet Yellen really will turn up," said Kit Juckes, a strategist at Societe Generale. "I doubt she's going to say anything that radically alters [market] sentiment, but that's another story." 2. Global stock market overview: The negative mood from Wednesday has extended into today. 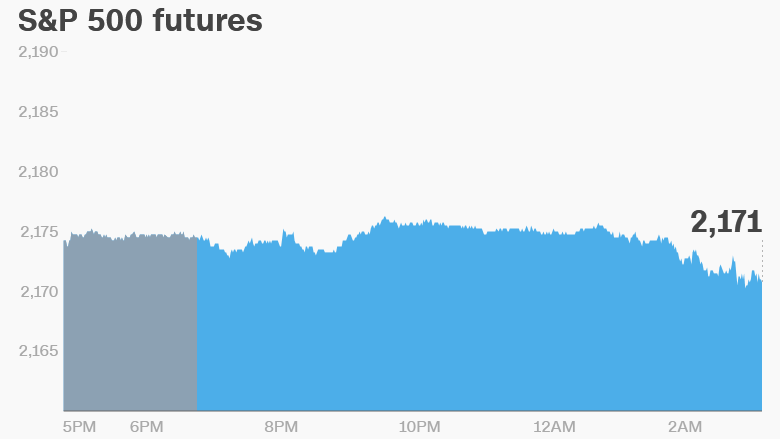 U.S. stock futures are drooping. European markets are slumping -- French and German stocks are down 1%. And Asian markets are ending the day mostly weaker, except for Taiwan, which managed to pop up by 1.1%. 3. High heels: Shares in Jimmy Choo are spiking by over 5% in Europe after the company's first half earnings beat expectations. The luxury shoe company said it was growing sales of men's shoes and seeing "impressive growth in China." 4. Earnings and economics: Many big companies are reporting results before the open, including a range of retailers. Dollar General (DG), Dollar Tree (DLTR), Movado Group (MOV), Sears Holdings (SHLD), Tiffany & Co (TIF) and TD Bank (TD) are all releasing their earnings. On the economic side, the U.S. Department of Labor is releasing its weekly jobless claims data. According to market data provider Briefing.com, initial jobless claims have been below 300,000 each week for the last 76 weeks. That hasn't happened since 1970.